Here you will find our green guides for a more nontoxic and natural home and life. It is possible to download our PDF guides so you always have access to them or want to print them. Detergents, detergents and other household products used to the greatest extent contain plenty of water, dyes, synthetic perfumes, chemicals and Hormonrubbande ftlalater and more. A lot of studies show how harmful they can be to our health and our environment, the Hormonrubbande substances and the chemical cocktail that is created when using a variety of products containing chemicals in everything from detergents, hygiene products, food, Exhaust gases etc. can produce anything from asthma, allergies, skin conditions, reproductive problems, cancer and much more. For decades we have been influenced by advertising that this is how we should clean, wash and take care of our homes and bodies, but it has not always been so. Also many so-called environmentally friendly cleaning and hygiene products often contain harsh chemicals and Hormonrubbande ftlater. If you are lucky then they are without perfumes and dyes. One example is green soap, which contains both perfumes and dyes and which is a residual product from the oil industry. Green color and perfume is made to resemble the soap we used in the past. 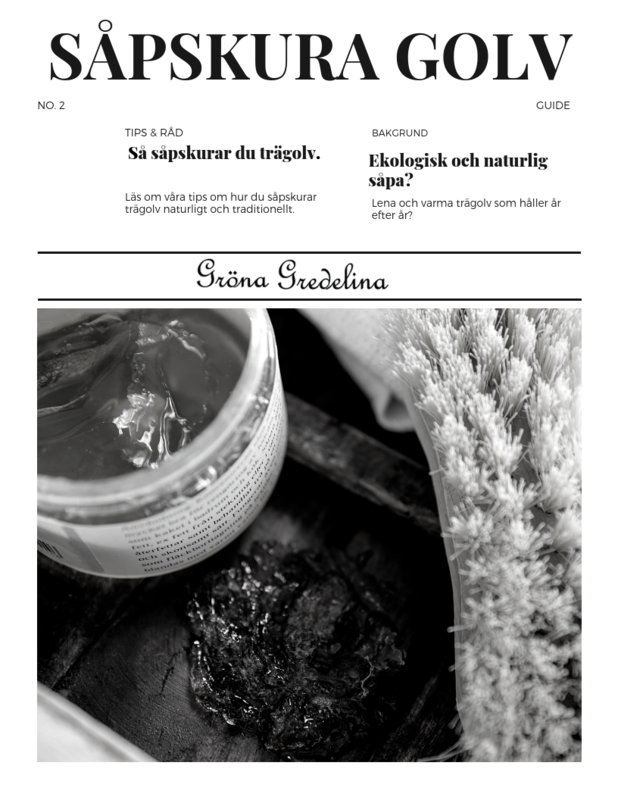 Gröna Gredelinas Organic products are plantbased like our alepposåpa and soap. It is made on olive and bayberry oil, in the same way ever since the 1400 century. We also have natural all-purpose, scented organic vinegar, bicarbonate, detergent on sunflower oil and detergent on Aleppo-soapflakes to name a few. 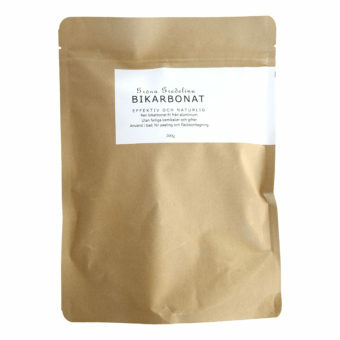 Our organic and natural products are manufactured in our own production plant in Stockholm, are based on old genuine recipes and are always without synthetic additives, dyes or harmful chemicals or endocrine disrupting agents. All products are tested on Lina 😉 and not on animals. Our brown bags are 100% Biodegradable. .
We think it should smell good when cleaning, washing and caring for the home in general and has therefore chosen to set up natural essential oils in our products. For us, it goes without saying that the oils are organic and organic. The essential oils we choose to use fill a function in addition to smelling good when they are antiseptic. Gröna Gredelinas complete bicarbonate guide.